The Shahrukh Khan starrer Billu Barber is all set to be released on February 13th, 2009. This development was announced by Eros International which will be releasing the film worldwide. The advance UK previews will be on 12th February, according to the press release. The film also stars Irrfan Khan and Lara Dutta. 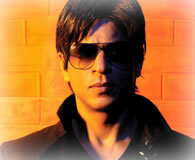 Produced by SRK’s home production Red Chilies, the film is directed by Priyadarshan.